My name is Akshay Gujar, and I joined SocialCops as a Policy & Governance Manager in August 2016. Before SocialCops, I was part of the 2015 Maharashtra Chief Minister’s Fellowship. Fascinated by the role data can play in improving governance and policy and inspired by blog posts such as these, I joined the SocialCops team. After a month of supporting colleagues on various platform deployments — including an ambitious initiative to build an intelligent dashboard for the Maharashtra Chief Minister in collaboration with Tata Trusts — I embarked on my first independently managed deployment. And what a deployment it was! The Swachh Bharat Mission (SBM) is in full force across the country, but especially so in Gujarat. Gujarat is well on its way to becoming open defecation free, thanks to various measures to bring about behavior change such as the creation of Nigrani Samitis (committees in each gram panchayat that identify and talk to people who use open defecation) and the use of triggering (strong awareness promotion around the detrimental effects of open defecation). However, there were naturally gaps in the implementation of these processes. Apart from a few sample surveys, the Government of Gujarat was unable to measure and assess these gaps. SocialCops partnered with the Government of Gujarat to use data to find and close these gaps, thus ensuring that resources for the Swachh Bharat Mission were allocated most efficiently. To do this, we deployed our Android-based data collection product Collect across all 14,000 gram panchayats to collect data from the ground on how SBM processes were being carried out! Talk about awesome scale and a dream first deployment! 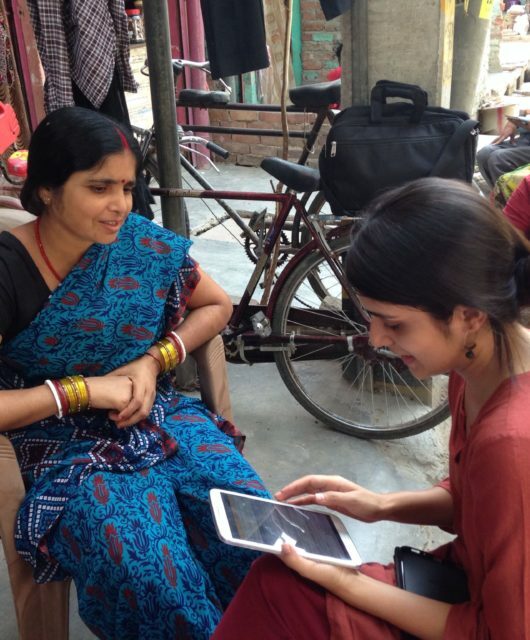 I spent a week in Gandhinagar figuring out how to implement grassroots data collection at this scale. Here are the notes I took in my diary during this week to document my first deployment as a Policy & Governance Manager. 10 am: Kicking off an exciting Monday morning with the determination to create a comprehensive deployment checklist for Swachh Bharat Mission Gujarat! 2 pm: Time for a catch-up meeting with people on this project from the Data Team and Engineering Teams. 4 pm: Up next, a meeting with the Policy and Governance Team. 6 pm: Completed all the indicators for our in-house project management checklist. 9 pm: Ran the checklist by folks from the Policy and Governance, Data, and Engineering Teams for feedback. We came up with some new ways to improve the deployment, so I’m still working on the checklist. 11:45 pm: Managed to catch the last metro from Saket to GTB Nagar, and spent the ride listening songs from the movie PINK. 1 am: Excited for an important and big day tomorrow… actually today. Good night! 4 am: Just got up. Have to catch a 6:30 am flight to Ahmedabad! 9 am: The poha at the canteen of the Rural Development Department office is LOVE. Discovered this while waiting for government employees to reach office at 9:30 am. 1-2 pm: On the way to Matar block in the DRP’s car. So excited to meet and training BRPs! 3 pm: Finally gathered all the BRPs and started training them to use Collect on their Android phones to collect data for the Swachh Bharat Mission. 4 pm: After an hour of using my phone as an internet hotspot, the battery finally gave up. 7 pm: Reached Gandhinagar to meet with the Principal Secretary and Commissioner of the Rural Development Department and brief her on the day’s events. 9 am: Waiting for a government car to pick me. First up on today’s agenda — visiting another government agency to get shapefiles for Gujarat’s gram panchayats and their mapping to blocks and district. 12 pm: The Principal Secretary suggested that we leverage ASHA workers to collect data, so we’re heading off to Nadiyal to train ASHA workers today. 12:30 pm: Still 50 kilometers until Nadiyal. I just hope the ASHA workers show up! 2 pm: Met the District Development Officer of Nadiyal and briefed him about Collect and our training module. 3 pm: Traveling to Tundel gram panchayat in Nadiyal to meet ASHA workers. 3:30 pm: Happy to see that ASHA workers were present for the training! One of them brought her son along. “Train him sir,” she said, “and he will teach me in return”. Fine! 4:30 pm: I had a sweet chat with the son of the ASHA worker. He tells me he likes to sing songs, and he sang to me in an amazing voice! 6:30 pm: Leaving for Gandhinagar, but I still haven’t done any data collection today. What will I show to Secretary Ma’am in today’s review? 10 am: Suggested to the Principal Secretary that Village Computer Entrepreneurs (VCEs) might be better for collecting data on the ground. Now I’m off to Matar block to train them! 6 pm: Fruitful day today. After getting past the iPhone/Android difficulties, I was finally able to train all the VCEs and their seniors (known as Taluka Level Entrepreneurs). Let’s hope they actually collect data tomorrow… In the meantime, I can’t wait to eat poha and return to Delhi. 11 am: Back to office, but all my attention is focused on the data collection that VCEs are supposed to collect in Matar today. 2 pm: Some hiccups as usual… The VCEs and TLEs were supposed to start collecting data now, but nothing was coming in. So I had to get on the phone and start calling them up one by one. All under control now. 5 pm: Matar’s Taluka Level Entrepreneur (TLE) is the best in the world! It turns out that he managed the ground coordination and auditors amazingly. It was because of him that we were able to receive this data. 6 pm: Wrapping up the week and getting ready for SocialCops’s Friday Demo. What a week! So far, we have completed training of all VCEs across Gujarat via satcom, as well as training for TLEs through a “train the trainers” module in 3 zonal regions of Gujarat — Gandhinagar, Vadodra, and Rajkot. These 3 zonal regions covered all 33 districts of Gujarat, and each training had an average of 200 people. We also recently completed two data collection pilots in 3 districts to further test our survey mechanism and data visualization reports for the Swachh Bharat Mission in Gujarat. This week is a classic example how I usually spend my time as a Policy & Governance Manager on field: training auditors, maneuvering through government and district-level officers, completing the deployment checklist to make sure everything is perfect, coordinating with the Data and Engineering Teams back in office, and most importantly doing whatever it takes to get the deployment perfect. In a deployment like this, I go through lots of strong emotions — the frustration, disappointment, and unhappiness of resource constraints, the satisfaction of finally getting the work done after many failures or seeing the happy face of a villager, and the amazing, overwhelming feeling of seeing the sheer impact of our work for people across various villages and districts. We’re always on the lookout for passionate people for our Policy and Governance Team. 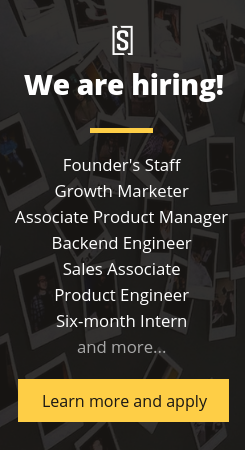 Check out our open positions here. How do you ensure that the data collected is authentic and that people who genuinely do not have toilets are the one who actually reflect on the data collected. I’m sure you would understand where I’m coming from.